In a very harsh world, Amani likes to dream and write poetry. She is happy with her family and has just come of age in her culture. 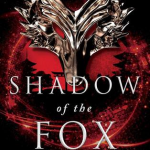 But one terrifying night, her life changes forever when the brutal Vathek Empire takes her away from everything she’s ever known to become a body double for the universally loathed and despised princess. Despite being determined to resist the lures of her new life and the charm of the princess’s fiancé, Amani soon finds herself swept up into a world of danger, intrigue, and unexpected love. 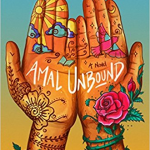 This is a beautifully written, engaging story of a young girl’s coming of age and determination to stay true to herself and her culture and heritage, despite the numerous obstacles standing in her way. 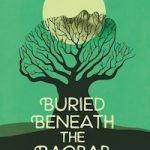 Amani’s strength is truly the heart of this epic fantasy and teens will be drawn to her unique voice and the gripping plot. Twists and turns plus lush world-building keep this book from being a run-of-the-mill generic fantasy. 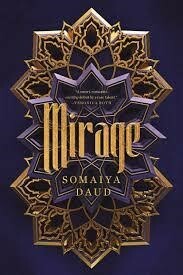 Those who enjoy culturally diverse, beautifully written, and rich fantasies like Mirage, will enjoy Shadowshaper and Shadowhouse Fall by Daniel José Older, Wild Beauty by Anna-Marie McLemore, and Forest of a Thousand Lanterns by Julie Dao. Alex loves horror stories… but he never thought he would be in one. Captured by a witch, he can only survive by telling a new scary story each night. His only ally is another captive, Yasmin, and their time is running out. This story is perfect for readers who love horror, short stories, and the ever pressing danger just one page away. Alex and Yasmin are compelling characters who readers will relate to and cheer for. The witch is terrifying not just for her magical powers, but for her abusive behavior. It calls back to a variety of horror stories while also talking about why those stories matter and how dangerous they can be. It is also reassuring to readers who have Intrusive Thoughts and the Obsessive in Obsessive Compulsive Disorder that just because they sometimes have bad thoughts, it does not mean they are a bad person who wants those things to happen. 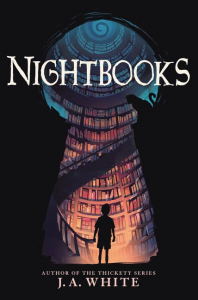 This book will work well for fans of City of Ghosts by Victoria Schwab, Adam Gidwitz’s A Tale Dark & Grimm, and The Wrong Train by Jeremy de Quidt. Courtney has been in love with his best friend Jupiter, who identifies as a lesbian, for years. When new girl Rae starts at their school, both friends find themselves interested in her, and confused about their feelings for each other. 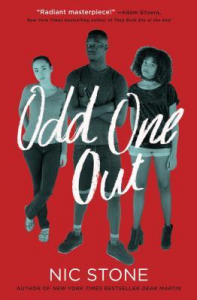 Odd One Out fills gaps in the LGBTQ+ experience and brings a fresh and authentic voice that has been much needed in Teen fiction. Though a love triangle is nothing new, the inclusion of bi-sexual and lesbian characters provides a unique lens and original perspective on the topics of love, heartbreak, and loss. Readers will relate to the awkward moments between friends, when the line between friendship and romance gets blurred. 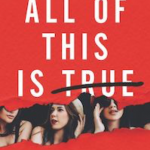 Teens will identify with many of the characters exploration of being bi-racial, questioning their sexual orientations, navigating first sexual experiences, and the confusion of not always fitting into the labels of gay or straight. 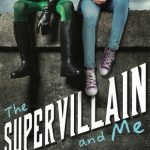 Readers who enjoyed Leah on the Offbeat by Becky Albertalli will find parallels in the characters struggles to find themselves especially when their self-identified label no longer fits how they feel about their sexual orientation. Fans of Little and Lion by Brandy Colbert will appreciate the similar love triangle that forces the characters to choose between love, friendship, and family. Elizabeth has spent her life changing herself to please others to survive. When she is offered as a gift to the boy Victor Frankenstein, she believes her life will change for the better. While growing up together, Elizabeth starts to see a darkness in Victor. That darkness takes him abroad and leads her on a journey to try to find him, or else the future she has for herself to live in comfort as Victor’s wife is all but a dream. While looking for Victor, a monster appears that begins to kill, and Elizabeth’s world begins to fall apart as she discovers the horrifying tie between Victor and the monster. 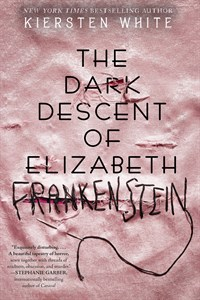 Just in time for the 200th anniversary of of the publication of Frankenstein, this retelling addresses one of the most prominent problems in the novel for modern readers: though written by an early feminist, the original novel almost entirely excludes women. Kiersten White addresses and rectifies this problem by telling the story from one of the female character’s perspectives. Women of various personalities and skills are the forefront of this novel. It brings home to the modern reader the horrors of relying on men for even the most basic of needs with no other recourse to support one’s self. The novel captures the tone and gothic setting of the original novel. Fans of the original novel and those new to the story will be pulled into the tense atmosphere of the novel. Besides fans of Frankenstein, this book will also appeal to readers of Kiersten White’s The Conqueror’s Saga, In Her Skin by Kim Savage, Daughters Unto Devils by Amy Lukavics, In the Shadow of Blackbirds by Cat Winters, and Dread Nation by Justina Ireland. Previous Post What Would Anne and Maud Read?